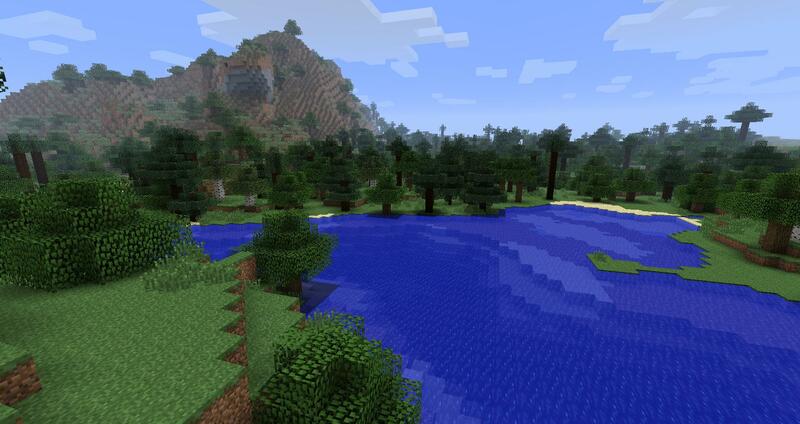 Highlands Mod 1.7.10 was created to make exploring and living in the world of Minecraft more fun. 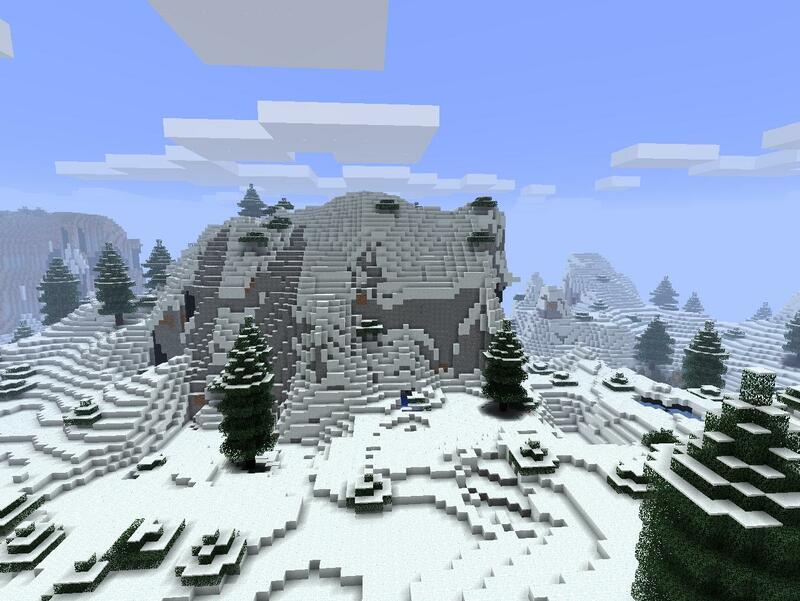 It adds many more mountains and hills than in vanilla Minecraft. 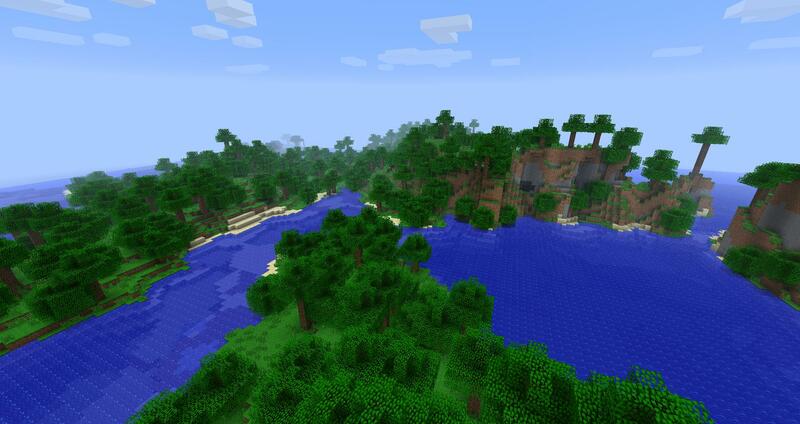 It includes many varied environments and sub-biomes that represent features like mountains, lakes, forest clearings, valleys, and islands. 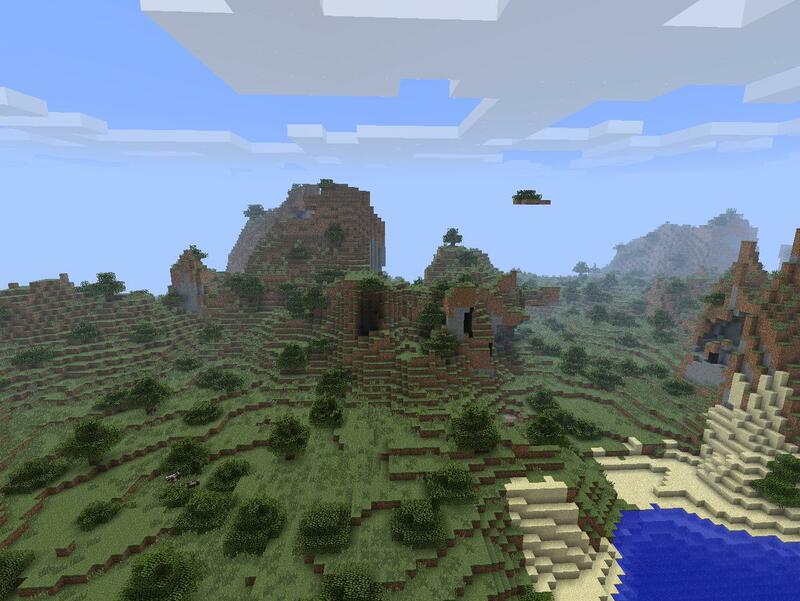 It uses no modded blocks in world generation, so worlds created with Highlands can be enjoyed by anyone with Minecraft. All of the trees’ saplings can be created in survival mode, so you can add a unique touch of greenery to your structures and landscapes, build an epic treehouse, or chop down enough wood to last a lifetime. They require a bit of exploring to get, though, you will have to gather different types of wood and venture to the nether for soul sand before you can grow them. Highlands also makes it more fun to explore underground. Most of biomes added by this mod have increased amounts of certain ores (usually, double normal). This way, you can find a certain biome to mine for diamonds, and another for iron, but you won’t find more of both in the same biome. 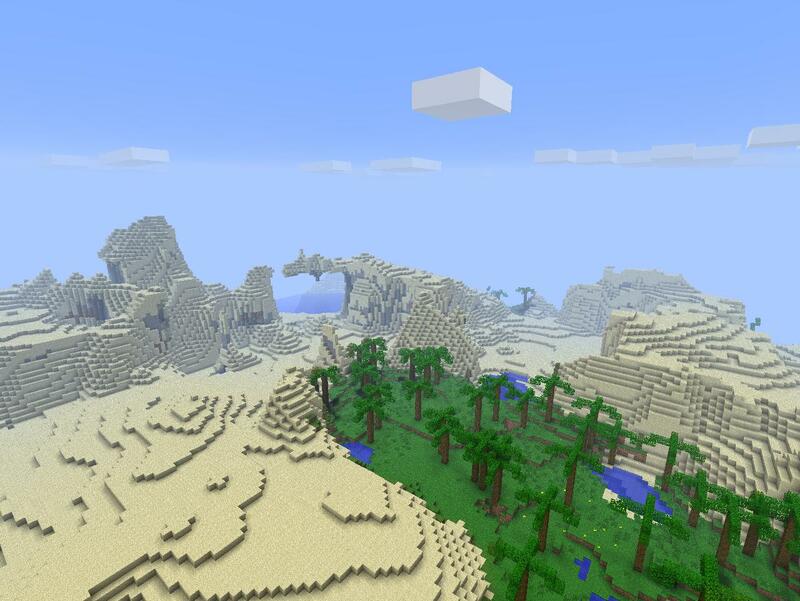 Try and find out for yourself which biomes have more of which ores! Alps, Pinelands, and Mountains have more iron. Autumn Woods, Savannah, and Outback have more gold. Cliffs have all ores generate up to double height, with the same frequency. Highlands, Mixed forests, Tall Pine Forests, and Bogs have more coal. Tundra will generate ice underground (same frequency as coal). 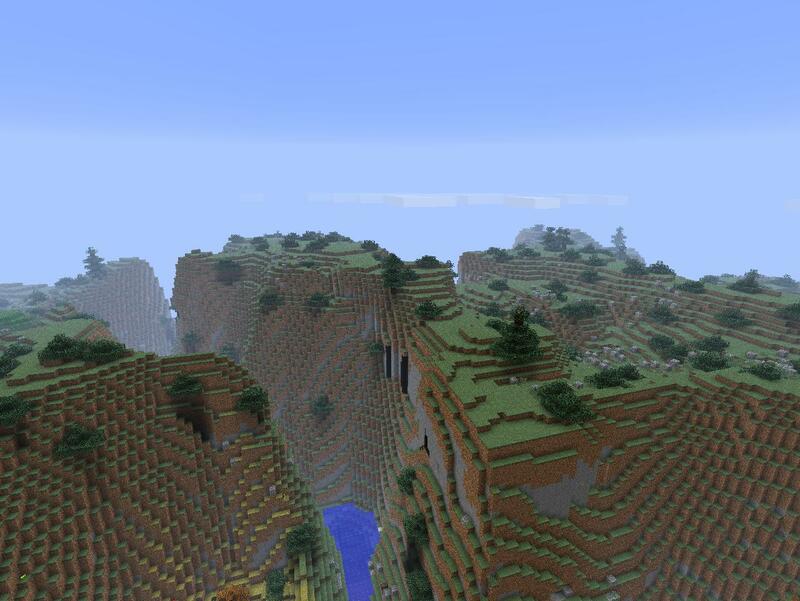 Woodland Mountains and Meadows have more diamonds and more underground water (Woodland Mountains also have more waterfalls). 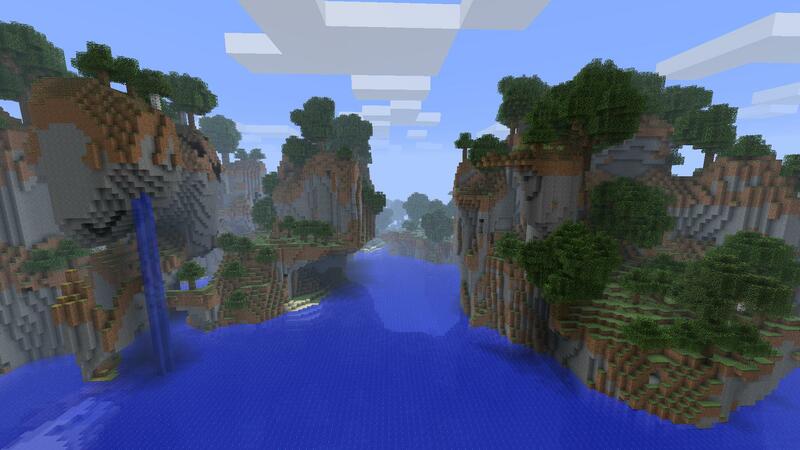 Rainforests and Tropics have more redstone and lapis lazuli. Volcanoes have double or triple of all ores, but have lava underground at the same frequency as iron. 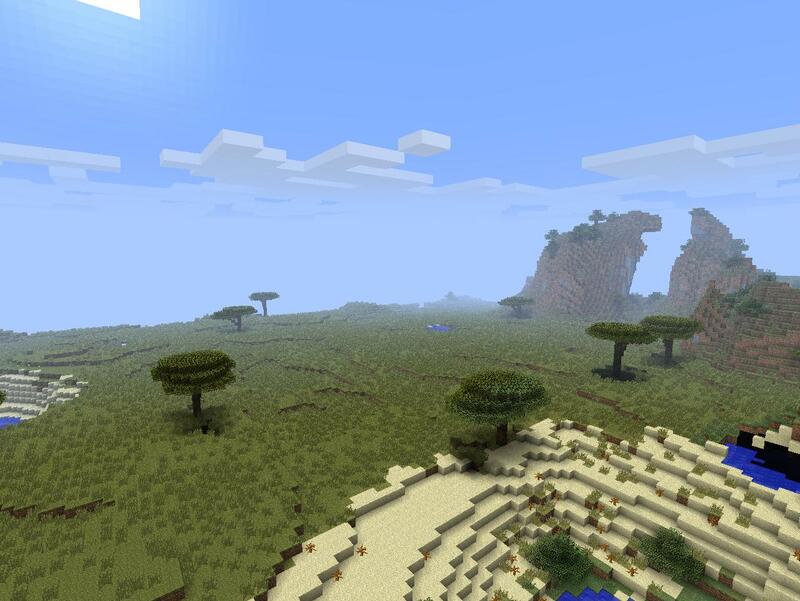 There are two world types, Highlands and Highlands LB (Large Biomes). 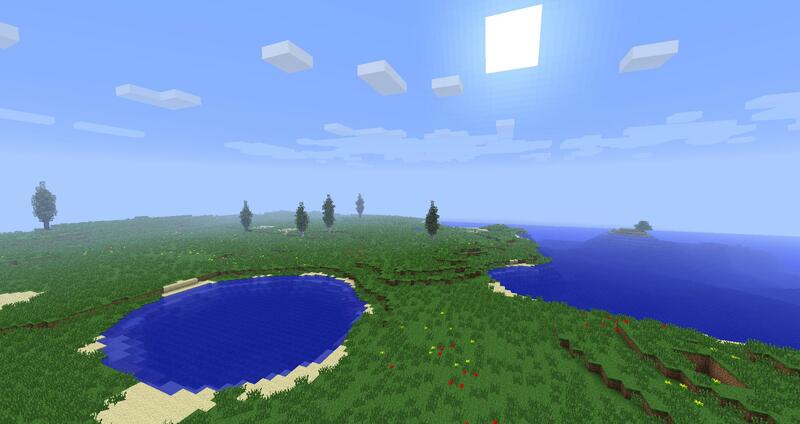 You can also use Highlands with default worlds, for compatibility with other mods. Highlands was inspired mostly by Biomes o’ Plenty and ExtraBiomesXL (two amazing mods that are both compatible with Highlands, if you edit a few settings). High mountains covered in deep snow, with occasional tall pine trees and shrubs. 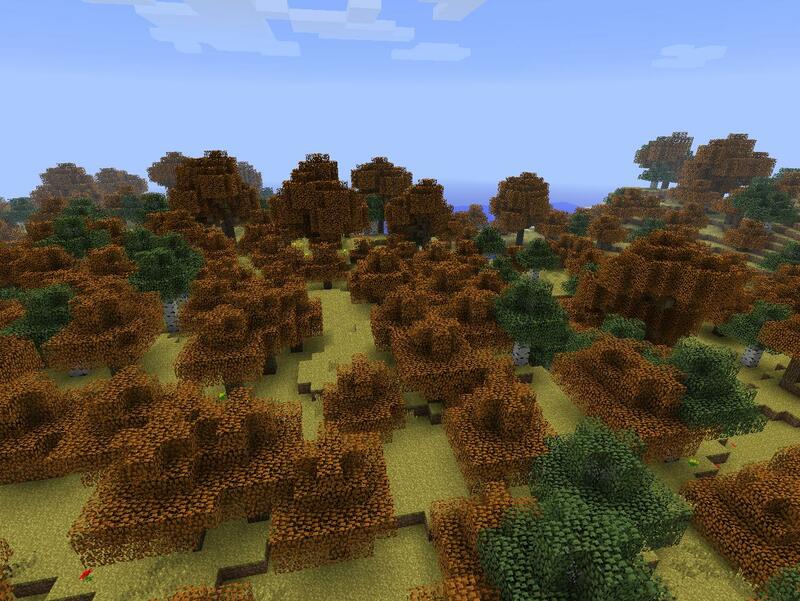 Same as a vanilla Minecraft forest, but with orange leaves. The forest floor has more pumpkins and flowers. A brown murky lowland with dead trees. A tall plateau with shrubs and cobblestone boulders on the ground. A hilly desert with nothing but sandy hills and rare oasis with palm trees. A moderately hilly landscape with lots of tall grass, shrubs, and scattered short trees. 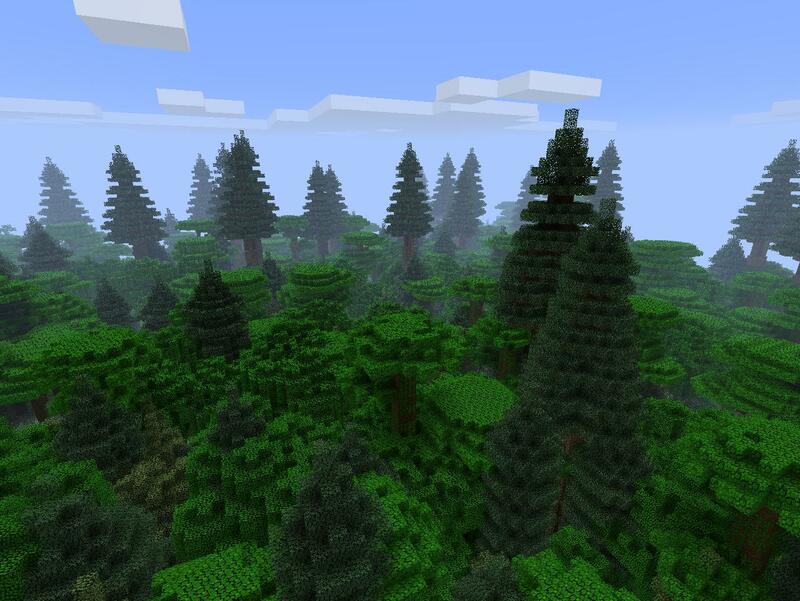 Forest biome with oak, birch, and pine trees. An evergreen version of Highlands. A tropical forest with abundant big trees and bright colors, and lots of lakes and rivers. 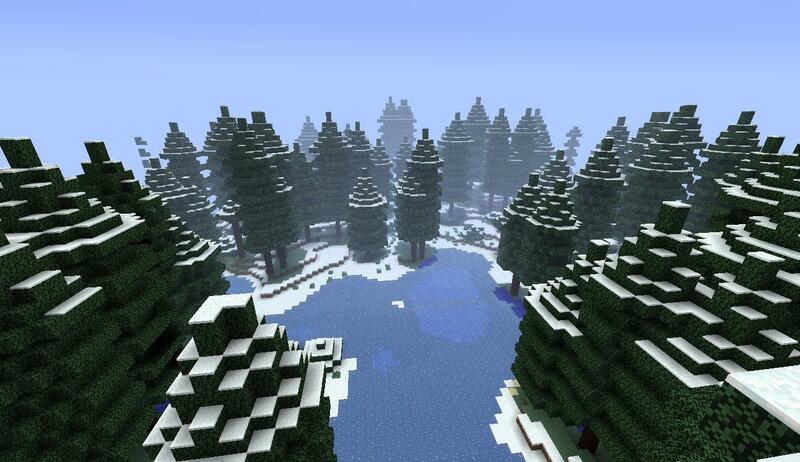 Taiga trees and fir trees tower above this snowy biome. The forest floor has tall grass and shrubs. Frozen lakes and ponds can be found here as well. 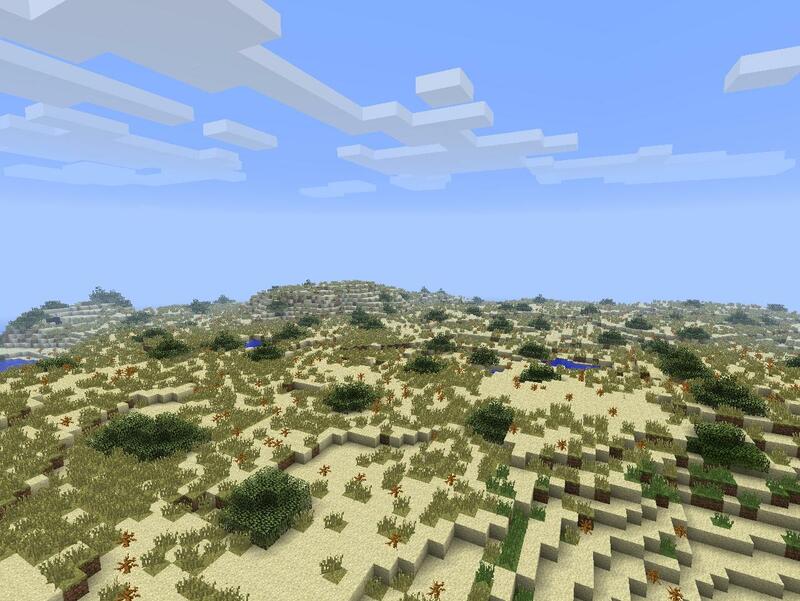 A dry, flat biome with scattered trees. 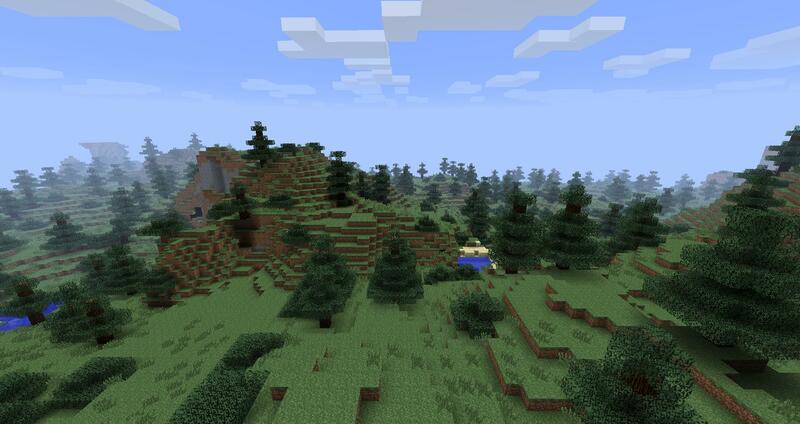 A moderately hilly biome with small shrubs and giant Sequoia trees. 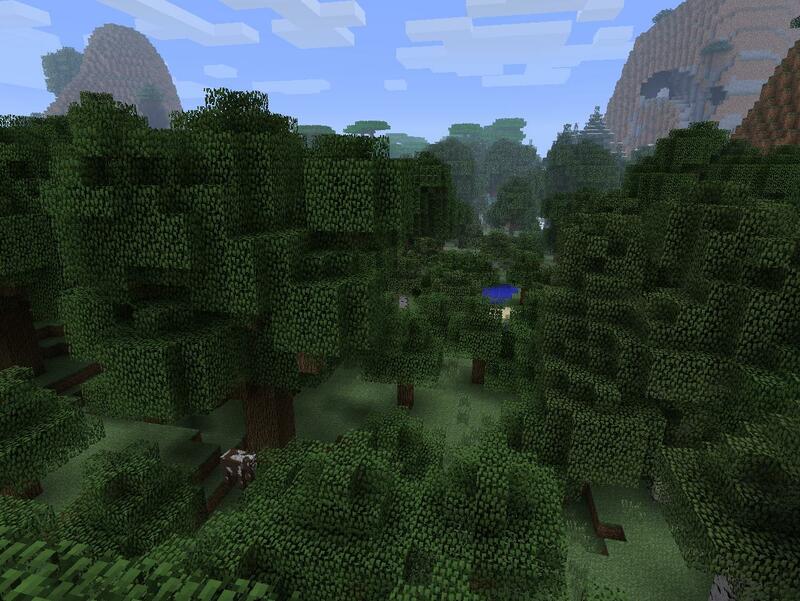 A hot, humid biome with tall flat-topped trees and low shrubs. A flat landscape with grass, flowers, and poplar trees. 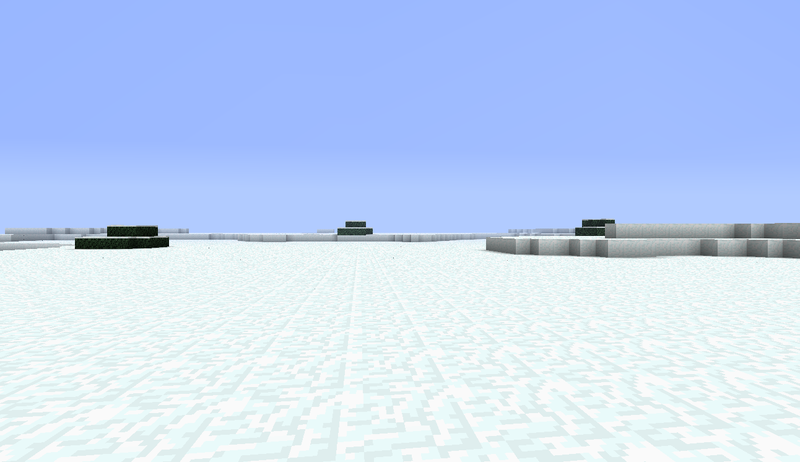 A flat, desolate biome with deep snow. Only a few scattered shrubs can provide wood. 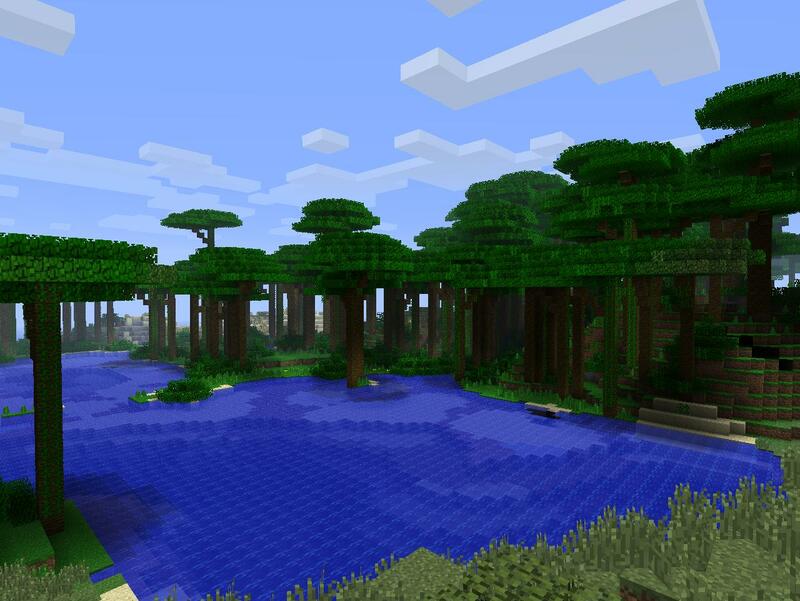 A dense jungle with every tree in vanilla minecraft, plus every tree from this mod. A semi-desert with patches of sand and grass and shrubs. A deep forest with many big trees. 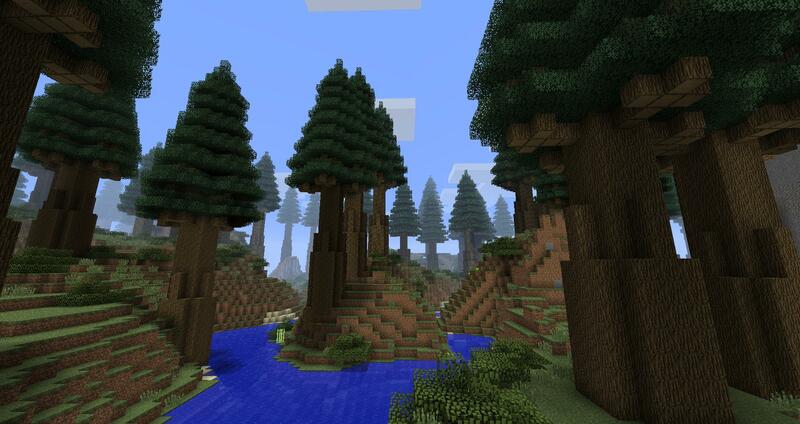 Woodlands trees on some of the craziest terrain Minecraft can generate. 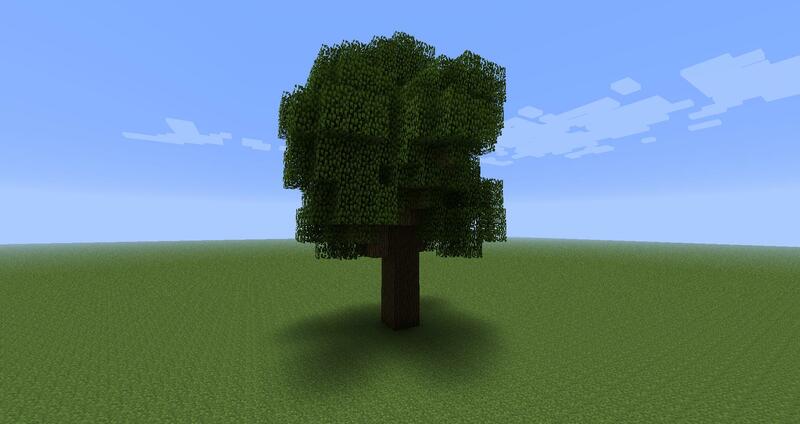 All trees can be grown by crafting their saplings and using bonemeal. They will not grow without it. All sapling recipes are shapeless. 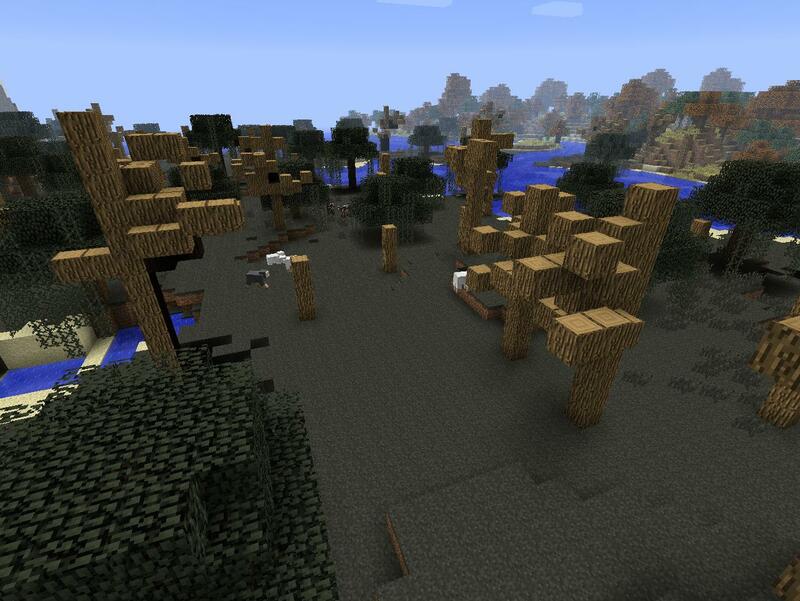 Trees will grow through structures, but will not replace any blocks. Be careful where you bonemeal (especially with Sequoias!). 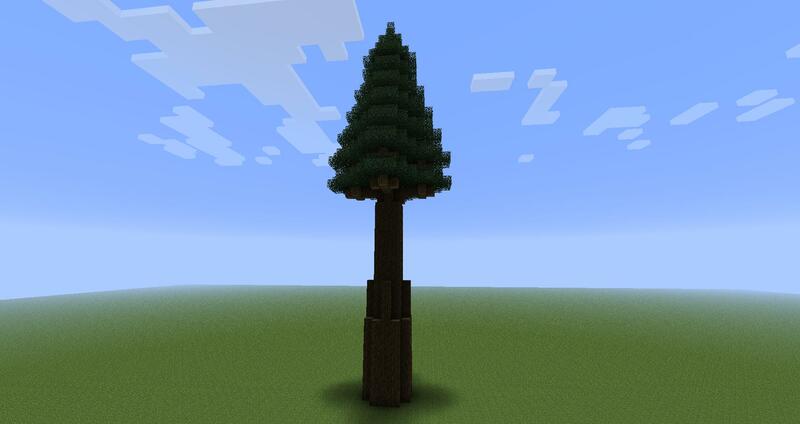 A tall pine tree that grows in the Alps and Tall Pine Forest. Sapling recipe: one pine sapling, one soul sand, and one pine log. 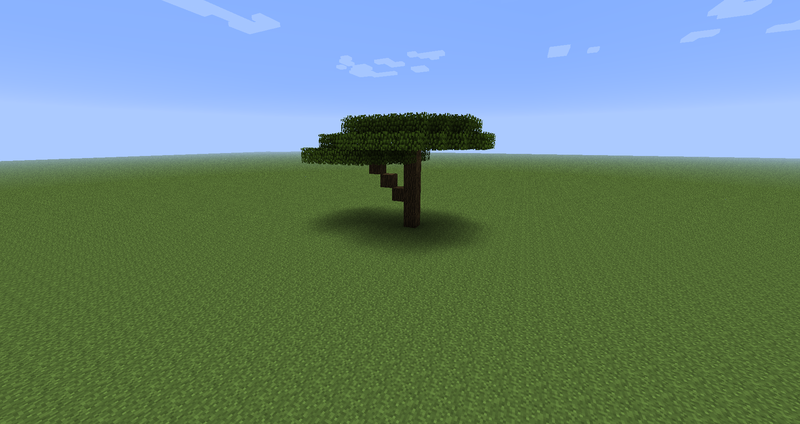 A short, flat topped tree that grows in the Savannah. Sapling recipe: one jungle sapling, one soul sand, and one regular oak log. A tall, flat topped tree that grows in the Tropics. Sapling recipe: one jungle sapling, one soul sand, and one jungle log. A thin tree that grows in the Meadow. Sapling recipe: one birch sapling, one soul sand, and one oak log. 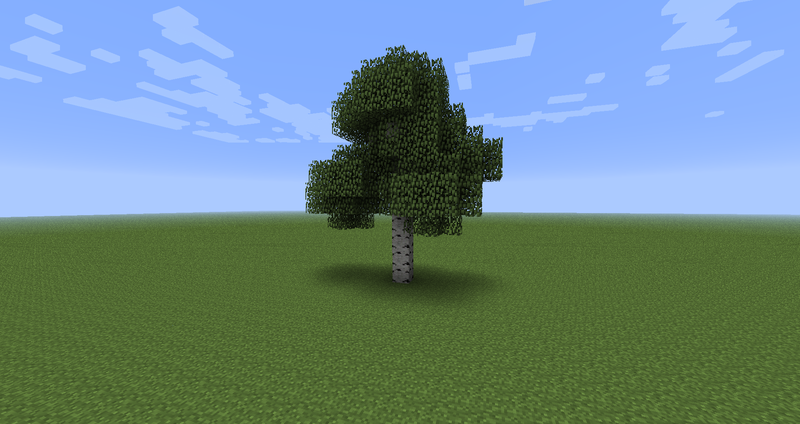 A larger version of Minecraft’s default oaks that grows in Woodlands and Woodland Mountains. Sapling recipe: one oak sapling, one soul sand, and one oak log. These massive trees grow in Sequoia Groves. 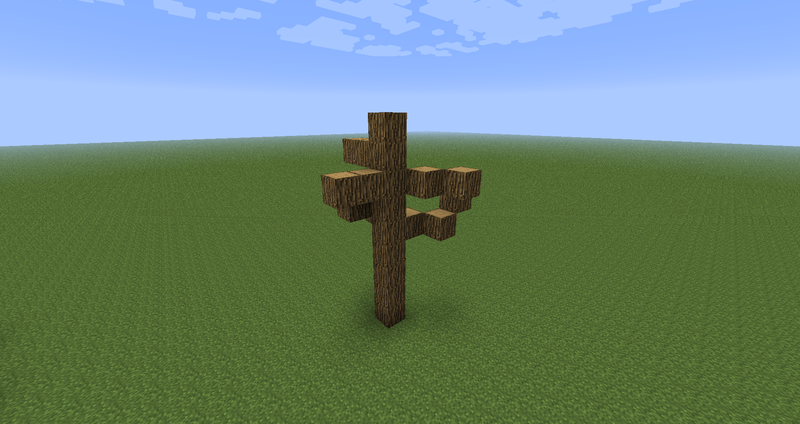 Sapling recipe: one fir tree sapling, one soul sand, and one oak log. 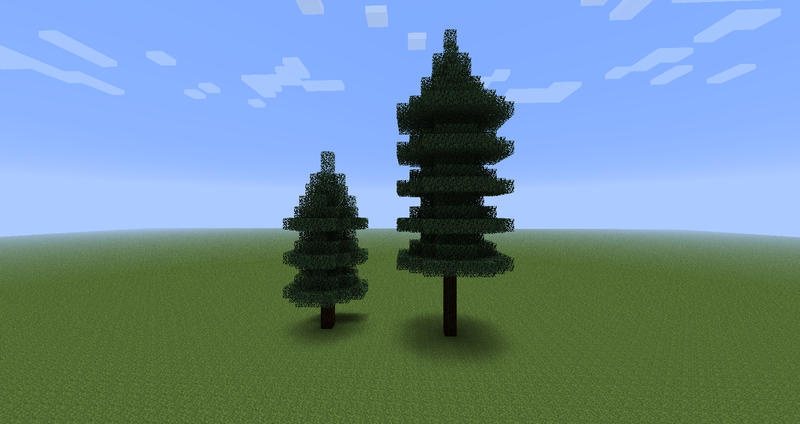 Minecraft’s big trees but with birch logs and leaves, grows in Woodlands and Woodland Mountains. Sapling recipe: one birch sapling, one soul sand, and one birch log. 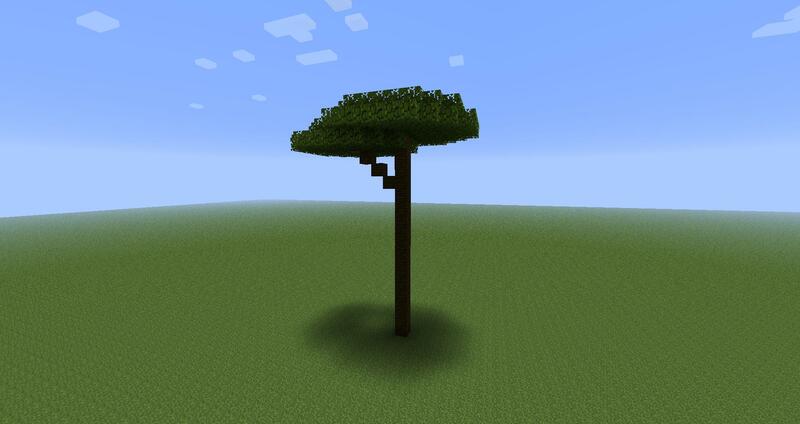 Minecraft’s big trees with no leaves. Grows in Bogs. A small tree that might save your life on a desert island or in the dunes. Sapling Recipe: one jungle sapling and one regular log. Small shrubs like the jungle shrubs. They grow in various biomes. Sapling recipe: one pine sapling and one pine log / one oak sapling and one oak log. A really, really big tree. It does not spawn anywhere naturally but you can grow it yourself. 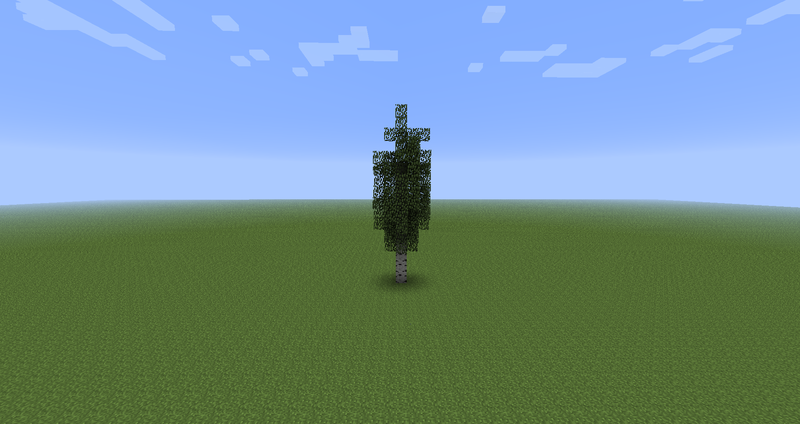 Sapling recipe: one sequoia sapling, one great oak sapling, one beech sapling, one canopy tree sapling, and one block of iron. STAND BACK as far as you can when using bonemeal or you could suffocate in the trunk. You can find all sorts of small plants around the world. They all have a use (most can be crafted into colored dyes) and can also be planted for decoration. To farm or grow more small plants, use bonemeal on one plant and it will create a few more plants of the same type around it if there is space on grass blocks nearby.